Roytam1, Tripredacus and harkaz are members here for sure, jaclaz I've never seen around, but I'm sure he knows this place. If you can contact greenhillmaniac and NoelC, please do so and invite them here. I do believe MSFN will be up again soon, but it's good to have a regroupment place to go when it does go down. 5eraph and the others have kindly welcomed us here and that is much appreciated. I assume IP Board has no 'work in progress' state to be turned on? Fingers crossed it's only maintenance, not a big problem. By the way, do I remember correctly that Xper also hosts some charity-related website on the same server? Something about trisomia... Can't find it again. It may be worth checking if it is offline as well. It's a bit worrying that the whole msfn.org site is down, not just the forums. Surely it wouldn't be necessary to take the whole site offline just to fix some issues with the forum software?! I've made myself an account here in case it's really the end for MSFN. I get a timeout to the site, that is not the expected behaviour for forum maintenance. Mcinwwl, yes there is are at least 2 modes for maintenance. One is a true offline mode, and then there is an offline mode that allows admins to log in where the forum is usable. Anyone should be able to find jaclaz on reboot.pro. There are a fair amount of other people you recognize on that forum also. Hi guys any news from xper? Any way to contact him? @Dave-H: Can you contact heinoganda and invite him here? Bersaglio also must be contacted, but I have no idea how. MSFN went down shortly after 8AM UTC on July the 1st. In case it remains offline after the 8th, we should then consider what next. For now, let's hope for the best. dencorso, heinoganda on MSFN is Windowsfighter here. Bersaglio also seems to be a member. I'm trying to find greenhillmanic, but I don't even have the URL handy for his Vista and Windows 8 update repositories. I thought there might have been some info on there perhaps. Actually, I found the Windows 8 Repository URL, but there is no personal info of any kind. There's also no way for me to upload a text file just to leave a note. More info - I just tracked him down and messaged greenhillmaniac on Reddit. I linked to this page. I hope we hear bacl\k. Trying to see if I can find NoelC now. This appears a tad harder. Does anybody know where in the world MSFN.org is hosted? Could there have been an event such as a bad storm, killing power for a few days? NoelC's business site is http://www.prodigitalsoftware.com, his full name is Noel Carboni. [I don't think I'm sharing any sensitive info, since he's posted many, many places on the web, always using the same user name and often stating his full name and referencing his business.] Another forum where he is on staff is https://win10epicfail.proboards.com/. That should help you find a way to contact him. EDIT: I left him a message at win10epicfail, so hopefully he'll stop by and say "Hi". Ugh... and here we are again, all in limbo. I'll be monitoring this thread for any news. Wanted me here synonymous briefly report, because currently the msfn forum is no longer available. It makes me sad to think that this might be final. Hope dies last. It would be bad if we lost this comunity. Bersaglio is also represented in this forum and has contacted me here at the last failure of the msfn forum. I made donation before it went. I do have an e-mail address for heinoganda if necessary, but I gather from 5eraph's earlier post that he's here anyway! I assume you have no way of messaging xper off MSFN? I do find it very strange that he would take the whole site offline with no warning immediately after he told me that the forum software had just been updated, which caused the emoticon issue I was querying with him. If he was intending to close the site, why would he have bothered to do the update?! No, I'm still hoping that this is some sort of technical issue which is taking a very long time to resolve. As far as I know there was no financial problem with MSFN now. I may have some contact info on my home computer, I had gathered a bunch of things when we had that 3 day warning even last year. I didn't get a chance to do anything yesterday. @5eraph: Thanks for the info! I see Windowsfighter/heinoganda has posted on this thread now. Good. Well, for now, let's keep the fire burning and the hopes high! Well, since roytam1 just provided us with a new repository for his XP browsers and since FF 52 esr is aproaching EoS, I think it's warranted to provide here a (rather crude) .pdf of mixit's classic 1st post on MSFN's thread "Enable MP4 (H.264 + AAC) HTML5 video in Firefox on Windows XP without Flash", which is useful for FFesr but also works on Basilisk/Serpent 52, so I've put a link to on this post, below. Xper has never been one to do much with those. I know he does (or did) have access to the twitter account, because I had him post onto it once. For all the times we've said that the social media pages must be used to keep people up to date as to what is going on, they still aren't used. The Facebook page wouldn't be used, as he is not on there anymore. He never created the Steam group. Today when I try to go to the site, there is *something* there but it has an invalid security certificate. goes to a 404 "The requested URL /board/index.php was not found on this server." 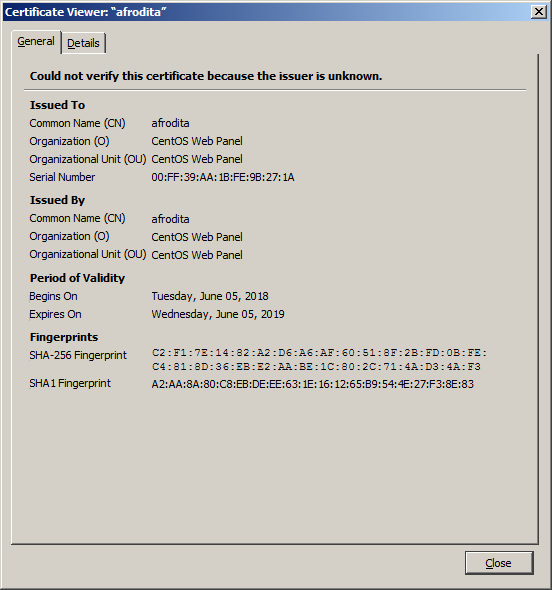 Viewing the domain on its own (with SSL) shows the "cent-os web panel" certainly, but attempting to go to the forum bookmark on "plain" will redirect to SSL, which is a good sign. Then you can visit the plain domain (no ssl, no board/index) and after a long load, the news portal, sans images. So at this point, it looks more like that something happened to the site and less like it went away because a bill wasn't paid. Seems like a good sign. It amuses me that the Microsoft Software Forum Network Runs on a CentOS server. Maybe the information from the following link helps to find an e-mail address. The DNS entry exists and still works. Now there is a 500 error trying to go to the forum. Making progress! I can now load the main news page, forum gives maintenance message. Well, then, I guess, at least a mailing list or irc channel would be handy. I understand that xper might not want to inform everybody about everything, but sending a short note to mods and admins like Tripredacus and dencorso, so they could spread the news, should be a standard. Let's hope it's up again for "Patch Tuesday" next week! What are you guys going to do in the future if this happens again? I can say this, start backing up stuff that's important. Me personally, I won't be doing the back and forth thing. Glad things are working out but a contingency plan needs to be in place and not run here (only) when msfn is down. Best wishes!!!! I still have last years backup if MSFN doesn't come back. If it does, I may try another backup if I can find a way to speed it up. It took 4 months last time. Well I've made text copies of NoelC's Scheduled Tasks Lists for Windows 8x. I'm trying to think what else I REALLY need going forward. Unless of course it allows you guys or xper to do something the rest of us can't. It appears to be up but more than 3 months of data is gone. Xper said it was lost. It is back - but at this time it has an old state. Looks a bit different, so I guess the software's been overhauled. Let's hope it stay online now! Server crashed badly. They couldn't retrieve data from second (backup) HDD'a. We lost data for last 3 months. Luckily i had local a backup from Februar. I apologize for the inconvenience caused. So it appears to have been a "simple" hardware failure, and not something nefarious nor abandonment by xper. I know that xper is the only admin, and thus the only one with site backups, and he doesn't seem to be willing to keep in contact with any of the mods through any means except via the site. Do any of the mods, such as @dencorso or @Tripredacus, know xper well enough to respectfully talk to him about this, in a non-threatening way, about how to address this situation? I would think that there are folks with enough knowledge and abilities, and perhaps with mod or admin experience at other sites, who would be willing to help xper so he isn't the only one that has to deal with site issues, while not not giving xper the feeling that he is losing control of the site or that he isn't needed or wanted. Someone might even have enough space available to host site backups in case of emergency. At the very least, a communication channel between xper and a key couple of mods should be set up so that folks aren't totally in the dark if something like this ever happens again, heaven forbid. Just my two cents. Last edited by bphlpt on Thu Jun 07, 2018 7:05 am, edited 1 time in total. Now one thing I notice. The posts are only updated up to January 2018. Never mind. Yes I see Xper's explanation. I will say, xper has a tad of a responsibility to us users (even if this is HIS board). We had no communication or way of finding out anything. And he's cultivated a user base who in turn have developed a sense of expectation from the site. If xper just became a member here (if he isn't already under a different name) he could at least then tell us what's happening in situations like this! It isn't good that nobody, not even the MSFN moderators, seems to be able to contact him if the MSFN site is down. Yep, I also sign under what bphlpt wrote. Better recovery strategy would be handy. And forum is full of people willing to help, some being IT professionals with more years of professional experience than I live. Are you sure? Not for me.